The owner of the online store www.gogonano.com (hereinafter referred to as the online store) is DIGITAL TRADE SOLUTIONS OÜ (registry code 12548418), located at Kose mnt 28, 74310, Kehra, Harjumaa, Eesti, 74310. 1.1 The conditions of sale apply to purchases of goods from the online store. 1.2 The prices of the products sold in the online store are indicated next to the products. A fee for shipping is added to the price. 1.3 All prices displayed in the e-store are in euros and include VAT. 1.4 The shipping cost depends on the location of the purchaser and the shipping method. The shipping cost is displayed when the purchaser places the order. 1.5 Product information is provided immediately adjacent to the product in the online store. 2.1 Add the desired products to your shopping basket to order them. Fill in all of the required fields and choose the most suitable shipping method to complete the order. The total cost is then displayed on the screen. This can be paid via an online bank transfer or using another payment method. 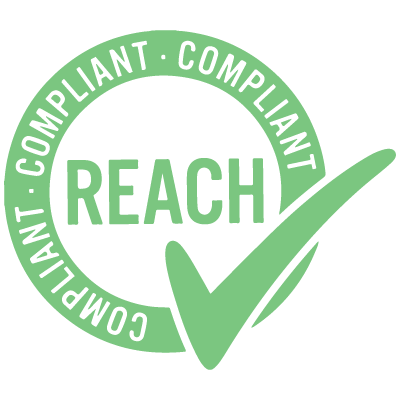 2.2 The contract enters into force when the amount payable is transferred to the bank account of the online store. 2.3 If we cannot deliver the ordered goods due to stock running out or for any other reason, the purchaser will be informed as soon as possible and the money paid (including the shipping cost) will be refunded promptly, but no later than within 14 days of receiving the notification. the shipping method. Find out more about shipment.  3.2 All shipments within Estonia generally arrive at the destination specified by the purchaser within 3-7 business days of the date of entry into force of the contract of sale. All shipments outside of Estonia are guaranteed to arrive within 30 calendar days. 3.3 We have the right to ship goods in up to 45 calendar days in exceptional cases. 4.1 After receiving the order, the purchaser has the right to withdraw from the contract entered into with the e-store within 14 days. 4.2 The right of withdrawal does not apply if the purchaser is a legal person. 4.3 To exercise the 14-day right of withdrawal, you must not use the ordered goods in any way other than is necessary to ensure the nature, characteristics and functioning of the goods in the same way you would be allowed to test the goods in an actual store. 4.4 If the goods have been used for any purpose other than is necessary to ensure the nature, characteristics and functioning of the goods, or if there are any signs of use or wear and tear, the online store has the right to lower the amount returned in accordance with the decrease in the value of the goods. 4.6 The purchaser shall bear the cost of returning the goods, except in cases where the reason for the return lies in the fact that a refundable product does not comply with the order (e.g. a wrong or defective product). 4.7 The purchaser must return the goods within 14 days of the submission of the declaration of withdrawal or submit evidence that they handed over the goods to the carrier within the aforementioned period. 4.8 Upon receiving the returned goods, the online store shall return to the purchaser, immediately but no later than after 14 days, all of the payments received from the purchaser based on the contract. 4.9 The online store has the right to refuse to make the refund until the goods being returned are received or until the buyer has provided proof of returning the products, whichever occurs first. 4.10 If the buyer has clearly chosen a different form of shipment than the cheapest usual form of shipment offered by the online store, the store is not required to compensate the cost exceeding the usual shipping cost. 4.11 The online store has the right to withdraw from the sale and demand that the goods be returned by the purchaser if the marked price of the goods in the online store is significantly lower than the market price of the goods due to an error. 5.1 The online store is responsible for the non-compliance of goods sold to a purchaser with the terms and conditions of the contract or for deficiencies which already existed at the time of delivery and which occur within two years of delivering the goods to the purchaser. Within the first six months of delivery it is assumed that the defect was present at the time of delivery. It is the online store´s responsibility to prove otherwise. 5.2 The purchaser has the right to turn to the online store within two months of the occurrence of a defect by e-mailing info@gogonano.com or calling +372 56470784. 5.3 The online store is not liable for any defects arising after delivering the goods to the purchaser. 5.4 If goods bought from the online store have defects for which the online store is responsible, the online store will repair or replace the defective goods. If the goods cannot be repaired or replaced, the online store shall return to the purchaser all of the payments involved in the contract of sale. 6.1 The online store only uses the personal data entered by the purchaser (including name, phone number, address, e-mail and bank details) for processing the order and sending goods to the purchaser. The online store forwards personal data to the transport service provider in order to deliver the goods. 6.2 The online store sends newsletters and offers to the purchaser’s e-mail address only if the purchaser has expressed their wish to receive them by entering their e-mail address on the website and indicating their desire to receive direct mail. 6.3 The purchaser is able to opt out of offers and newsletters sent to their e-mail address at any time by letting us know via e-mail or by following the instructions in an e-mail containing an offer. submitted by calling +372 56470784. 7.2 If the purchaser and the online store are not able to settle the dispute by agreement, the purchaser may contact the Consumer Dispute Committee. You can review the procedural rules and submit a complaint here. The Consumer Dispute Committee is competent to resolve disputes arising from a contract between a purchaser and the online store. Resolution of disputes by the Consumer Dispute Committee is free of charge for the purchaser. 7.3 A purchaser may also turn to the dispute resolution bodies of the European Union.